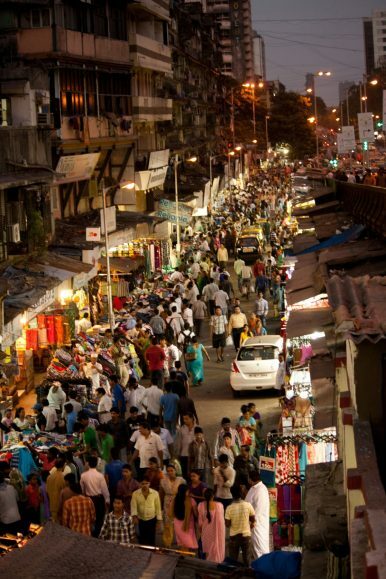 Where Did Indians Come From, Part 3: What Is Caste? The caste-system is extremely complex and functions differently throughout India. This is the third part of an ongoing series, which traces the origins of India’s people and civilization. Previous parts can be found here: Unraveled: Where Indians Come From, Part 1, and, Where Indians Come From, Part 2: Dravidians and Aryans. No discussion of India’s genetic history is complete without a consideration of the phenomenon of caste, an imprecise English-language word that encompasses two distinct ideas that have historically been socially significant in the Indian context: varna, and jati. Varna, which is what most non-Indians think of as caste is the “stratification of all of society into at least four ranks”: the brahmins (priests, intellectuals), kshatriyas (warriors and rulers), vaishyas (merchants, artisans, some farmers), and shudras (laborers), below which are the untouchables or dalits. The stratification is both socioeconomic and ritual: often members of higher castes could not accept cooked food or being touched by members of lower castes (as this would cause “ritual pollution”). On the other hand, the varna system, as described in the earliest Hindu scriptures, the Vedas, was not necessarily hereditary (though most modern brahmins and kshatriyas have male-line ancestors originating from the original steppe clans that settled in the subcontinent after 1,000 BCE), and resembles in some ways the class system more prominent throughout the West. Other, non-hereditary interpretations include the varnas being idealized human callings. However, thinking of caste as only varna obscures its more prominent jati aspect, a feature that many would prefer to sweep under the rug. Caste and Hinduism are not instricintly linked: both can function and survive without each other. Caste is in many ways basal to the social order of South Asia: there are Muslim, Christian, and Buddhist castes, and the phenomenon also exists in Sri Lanka and Pakistan. However, both varna and jati were elaborated on in ancient Hindu texts like the Manusmriti. As Hinduism and caste have been evolving together in India for so long, it is not surprising that there is some level of intertwinement between the two. But hereditary caste has almost no legal and ideological support anymore, even if it still often functions at the ground level due to custom. It was inevitable that a modern, “new” Hinduism would emerge from India’s contact with modernity and the Western Enlightenment, one shorn of caste, but containing ancient spiritual values. The concept of jati is what most Indians mean on the daily level when they refer to caste. It closely resembles the sociological definition of caste, as defined by geneticist David Reich: “a group that interacts economically with people outside of it (through specialized economic roles), but segregates itself socially through endogamy (which prevents people from marrying outsiders).” While it has no legal validity in India today, and is opposed by both nationalists and liberals who see it as detrimental to a united, strong society, it has historically been the most important social reality for Indians, for at least the past 1,500 years. There are thousands of jati groups or “castes”: anywhere between 4,600 and 40,000. “Each is assigned a particular rank in the varna system, but strong and complicated endogamy rules prevent people from most jatis from mixing with each other, even if they are of the same varna level… in the past, whole jati groups have changed their varna ranks [by raising their ritual status].” More than anything, endogamy, and the eating (vegetarianism is usually associated with brahmins and vaishyas, meat with kshatriyas and shudras, no rice, offal and beef with dalits), clothing, and other lifestyle customs associated with a particular jati were the most important aspects at the social level, not varna (some British censuses tried to fix all jatis in varna rankings). Most Indians reading this will not need academic literature to understand this at the visceral level, until recently, extreme familial paranoia and irrationality enforced this system surprisingly well. The caste-system is in any case, extremely complex, and functions differently throughout India. For example, kshatriyas (and rajputs) and vaishyas are rare in South India, because most male-line descendents of these groups remained in north and west India, and the small brahmin population in South India is the result of a later series of migrations around 1,500 years ago, as developing states in that region needed brahmins for ritual and administrative purposes. Thus, technically, many of the elite, high-ranking ruling castes in South India are shudras, but for all practical purposes function as kshatriyas (and tend to have more Iranian farmer DNA than other castes in their respective regions), so as to make the traditional idea of varna pointless in the south. Thousands of years ago, Indian peoples live[d] in effectively endogamous tribal groups that did not mix, much like tribal groups in other parts of the world today. Political elites then ensconced themselves at the top of the social system (as priests, kings, and merchants), creating a stratified system in which the tribal groups were incorporated into society in the form of laboring groups that remained at the bottom of society as Shudras and Dalits. The tribal organization was thus fused with the system of social stratification to form early jatis, and eventually the jati structure percolated up to the higher ranks of society, so that today there are many jatis of higher as well as of lower castes. These ancient tribal groups have preserved their distinctiveness through the caste system and endogamy rules. This theory fits in well with the evidence, discussed in a previous article in this series, of an expanding Aryan society incorporating and assimilating new groups as it spread throughout India, though there must have been a greater openness to mixing, incorporating new elites, and taking spouses from other groups in ancient times than in medieval times, as genetic evidence shows that mixing between castes and the groups that formed modern Indians’ ancestry took place between 4,000 and 2,000 years ago. That the different castes were originally distinct tribes is backed up by the traditional obsession with the need to remain separate, not only in terms of not intermarrying, but by eating apart, eating different things, and maintaining all sorts of minute, distinct customs. It was probably around 2,000 to 1,500 years ago that texts like the Manusmriti was written and enforced, probably more through social pressure than political coercion; after all, if by this time, upper-caste groups had adopted this structure by the time, it must have become a socially desirable norm that all groups would wish to emulate. It can be assumed that by the Gupta Era, around 400 CE, a time known for its “orthodoxy,” the jati system had spread to all segments of Indian society, at which time mixing stopped. While the system in many ways does disadvantage lower castes, it also allowed every group to preserve its bloodline and tribal boundaries, and many of the non-upper castes must have feared losing status to castes below them, which is why they put up with it, even if it meant not being at the top. However, until recently, scrupulosity in observing the caste restrictions has been most associated with brahmins, who probably combined their status at the top of the varna system with the idea of jati to develop a strongly distinct and insular role at the top of India’s society hierarchy. It was also probably brahmins who gave this synthesis its intellectual shape and rationalization. Caste is therefore a historical phenomenon in Indian society. Yet, a very popular theory, with advocates both among the post-colonial left and Hindu-nationalist right, holds that caste was relatively fluid until the British Raj. Those who hold this view argue that the British constructed the rigid caste system that we see today (though not the caste groups themselves), to dominate and divide Indians; their evidence consists of the various caste-surveys conducted during the Raj. But this theory can hardly explain the deep, visceral passion Indians had for their castes, which the British could hardly have caused over the course of two to three generations, especially when their policy was to avoid interfering with the customs of their Hindu and Muslim subjects to starve off revolt. In fact, it was the British period that began the erosion of caste, as India was increasingly plugged into a global, capitalist civilization that was both ideologically and economically opposed to hereditary jati. In modern India, most of the clothing and eating distinctions of the castes are being rapidly erased; only the avoidance of intermarriage remains, but that too may rapidly change in urban areas. But because castes are so entrenched in the Indian mind, and in its social organization, it may take decades, if not centuries, for the system, especially its hereditary aspect, to dissipate altogether, particularly in rural areas. That there are caste quotas in India’s political system can hardly be helpful in hastsening its demise. 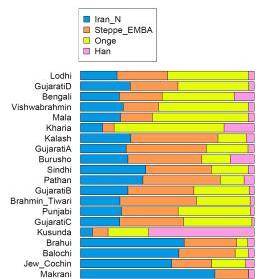 The farmer/steppe (ANI) to farmer/aboriginal (ASI) ratio of the castes is relative in each particular region, in a gradient from northwest to south India, so a a lower-caste individual in Punjab may be more ANI genetically than a high-caste individual from Tamil Nadu. The Meghwal, an “untouchable” caste from Rajasthan are 60.3 percent ANI, while the Velama, a high caste associated with administration and rule from Andhra Pradesh, are 54.3 percent ANI. Because of this hereditary, genetic factor, the concept of caste is intermediate between the sociological ideas of class and race. While class refers to the division of a society based on social and economic status, race refers to groups of people who share similar physical traits and origins. In a sense, castes, which do not have distinct languages or religions, functioned as subcultures or ethnicities belonging to the same “race” (as previously explained, every group in India is descended from the same ancestral peoples, albeit in different proportions). The 20th century dalit activist and politician B.R. Ambedkar noted that caste “is not nearly a division of labor. It is a division of laborers…a hierarchy in which the divisions of laborers are graded above one above the other.” It is important to study, because while caste is manifested in a certain way in South Asia, all the elements that comprise it can be found in other societies. The implications of the DNA of caste, and the revolution on India’s genetics will be the topic of the next, and final installment in this series on the origins of Indians. How the British gave birth to the Adivasi vs. Dalit equation in the Indian state of Odisha.